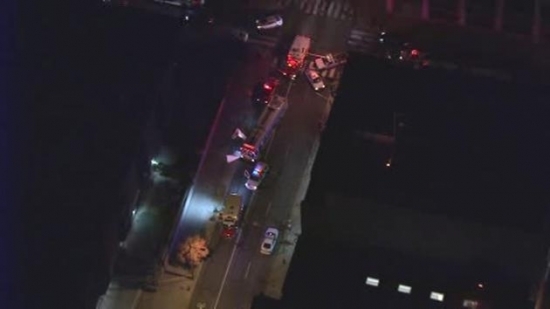 Philadelphia Police say that a woman was struck and killed by a SEPTA bus Monday evening in Center City. The incident happened after 5:30 pm Monday at the intersections of 23rd and Chestnut Street. The woman was struck by a Route 9 bus when she was attempting to cross the street with her stroller. The woman was pronounced dead on the scene. Authorities say that the baby, who is said to be between 7 and 12 months, was not injured in the incident. Philadelphia Police responded to a call on Monday evening of a report that a man was walking around with a gun. The man was spotted on the 3200 block of Red Lion Road in Northeast Philadelphia. Police were able to corner off the area and called in a barricade situation to apprehend the man. Police were joined by Firefighters, SWAT units, as well as negotiators to control the situation. The man was eventually taken into police custody at around 7:30 pm, and no injuries were reported during the barricade situation. Police responded to a shooting that turned deadly in the Mayfair section of Philadelphia Monday night. The shooting took place at around 9 pm on the 6200 block of Brous Street, when a suspect or suspects shot a 14-year-old boy multiple times. The teen was shot three times in the upper body and was rushed to Aria Health Torresdale where he later died from his gunshot wounds. Police are still searching for the suspect or suspects responsible for the shooting, and are looking for a possible motive in the shooting. The Eagles lost 27-13 to the Packers last night. Today, Cloudy and rainy during the day with a high of 62 degrees in Center City.